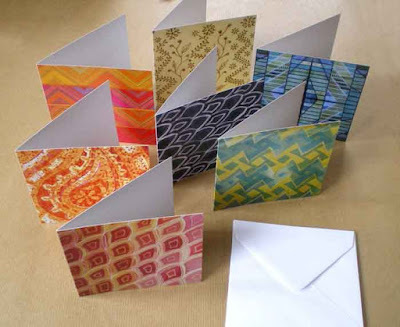 Theese are so lovely. 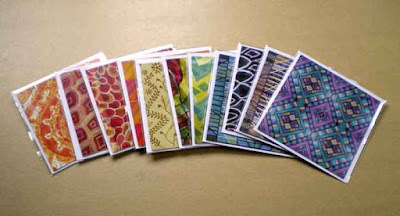 I like the small squares. 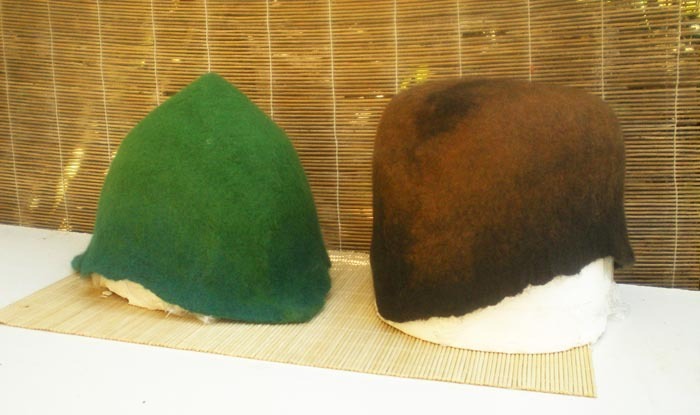 I like that they can be seen. 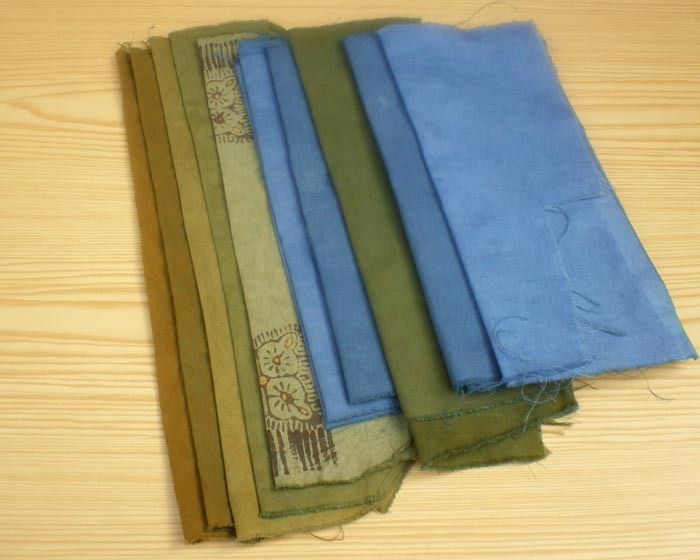 Some of them are silk scarves I have painted in the past, others are drawings or other works. 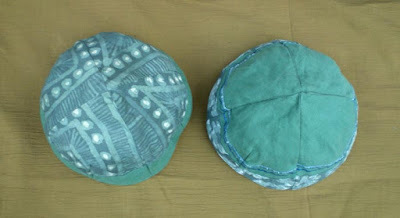 They are available for purchase in my shop. 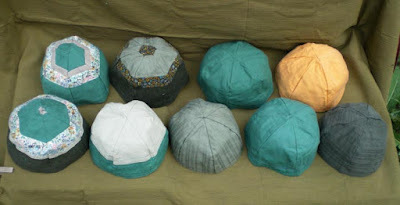 Click on them to go and buy some! 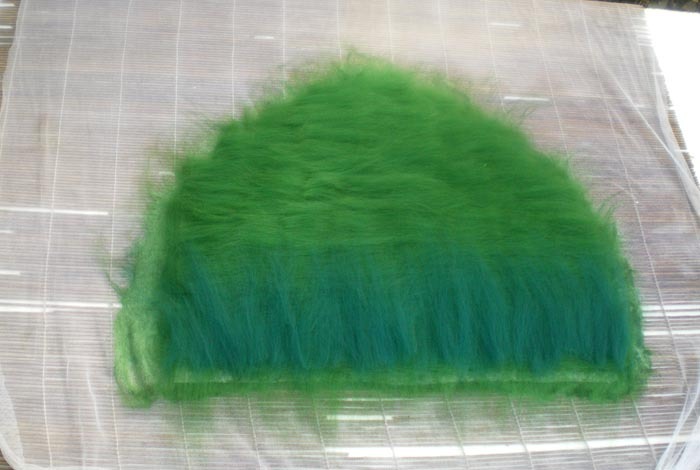 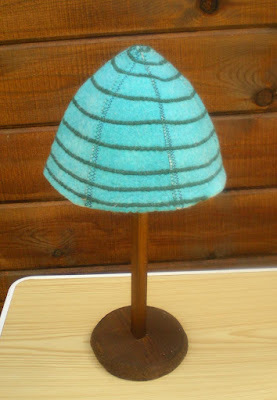 Process pictures of making felt hats on the flat instead of using the big mould. 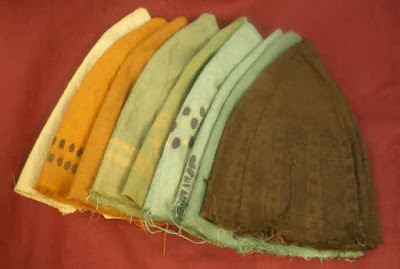 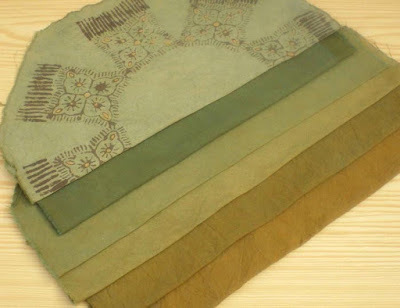 Colours achieved with natural dyes. 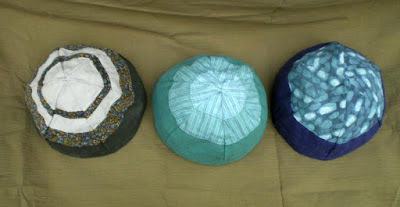 I used pomegranate skin for the ocre yellow, onion skin for the oranges and indigo for blues and greens (over the yellow). 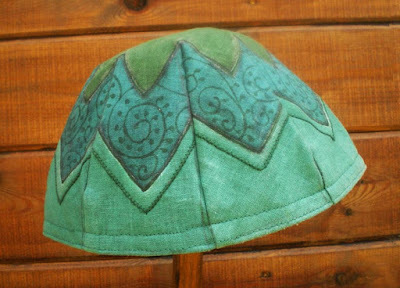 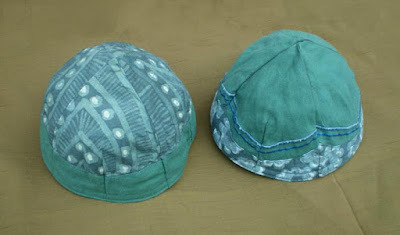 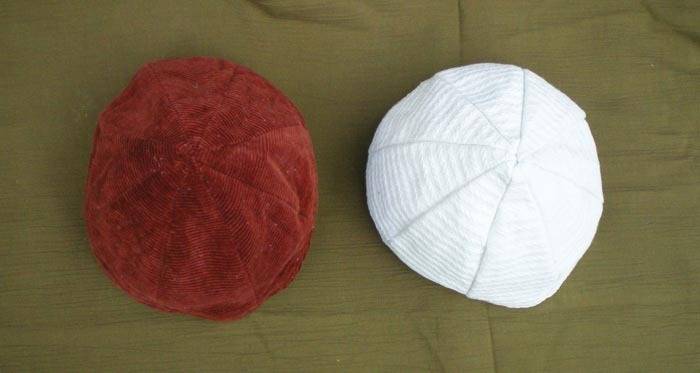 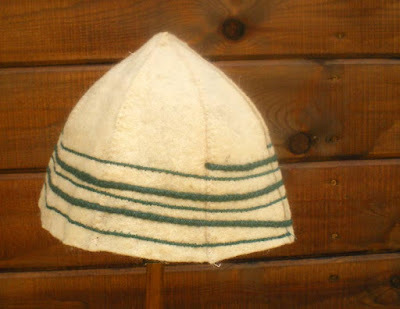 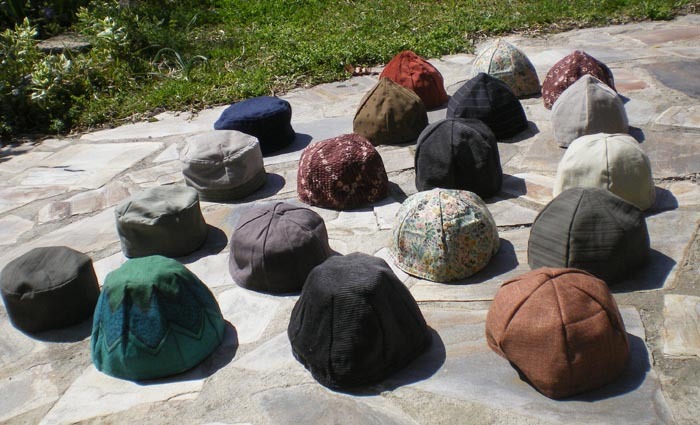 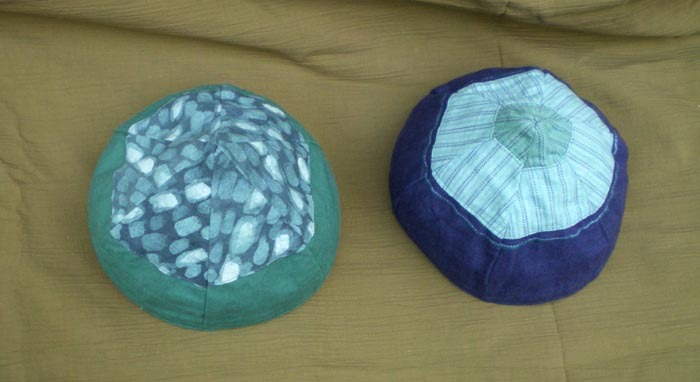 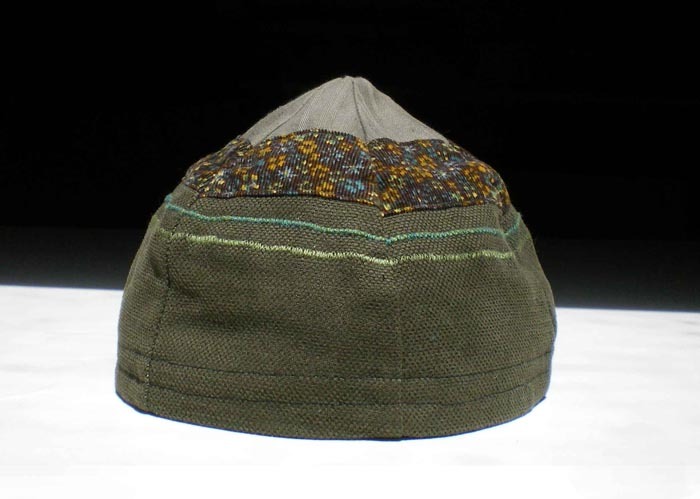 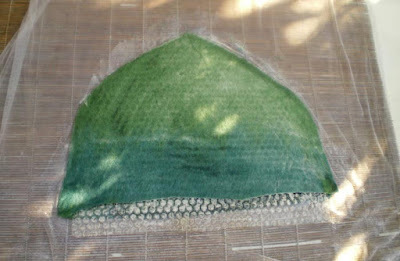 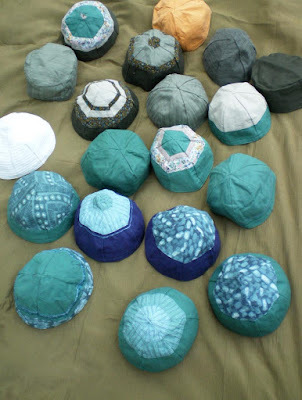 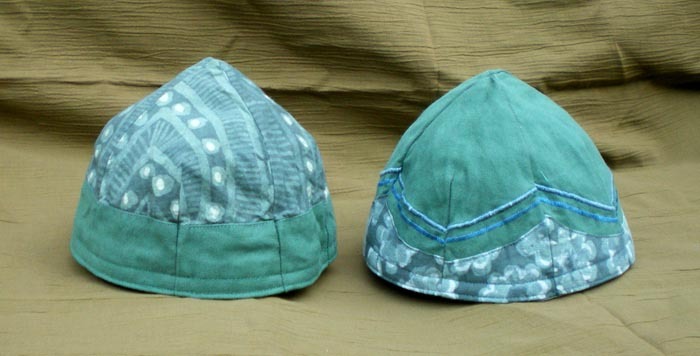 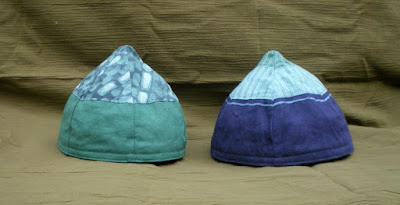 I sewed these hats from felt I had already made using my kufi hat patterns. 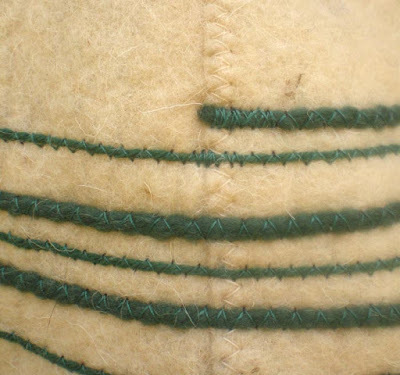 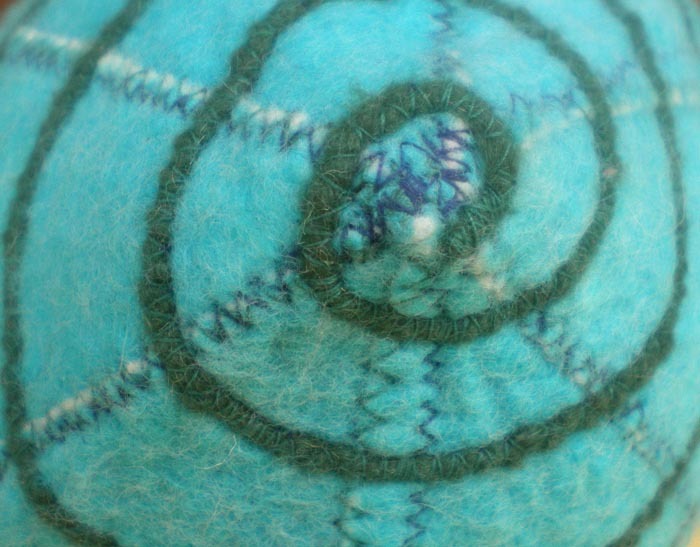 Then I stitched a piece of wool on and made it spiral around. 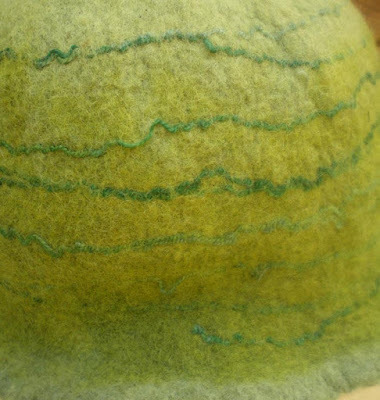 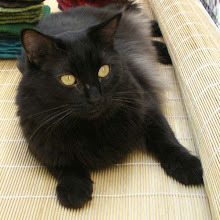 Anyone who has ever felted will know how much felt shrinks. This means if I want to make a normal size hat I have to start off making it about three times bigger! 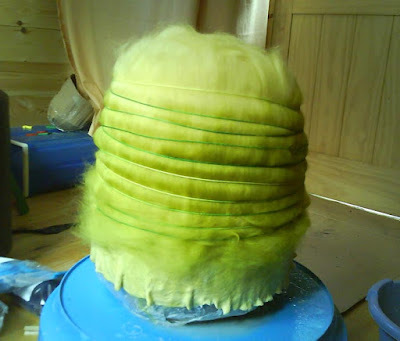 So, I made a really big mould to start my hats off. 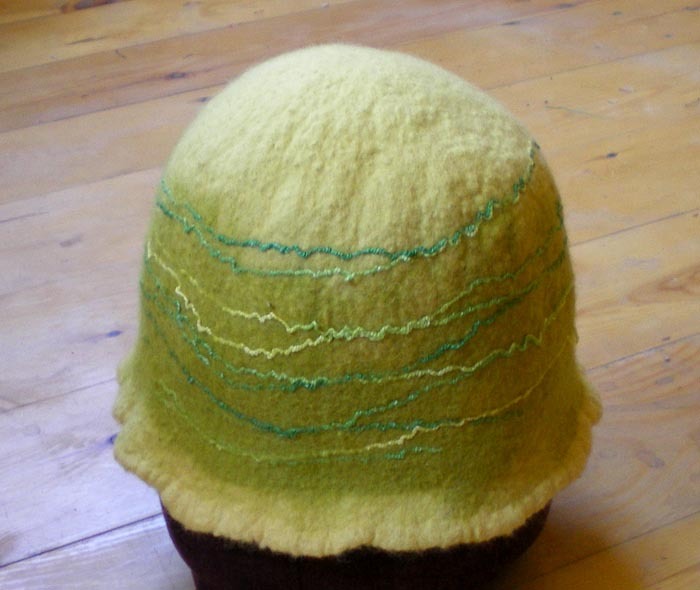 And here it is covered with wool. When it holds enough together I remove it from the big mould and continue felting without a mould. 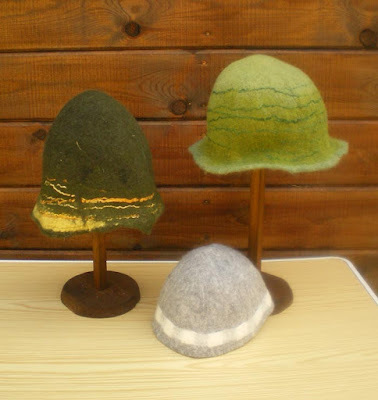 When I finish felting I put it on the real size mould to give it the final shape and size.